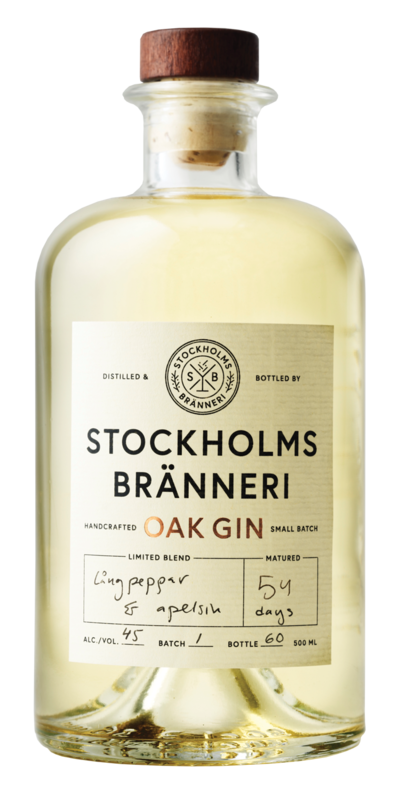 Stockholms Bränneri Oak Gin | Barrel Aged Gin | Small Batch Organic Gin | Swedish Gin — Emporia Brands Ltd.
Stockholms Bränneri Oak Gin is the perfect sipping gin. Best enjoyed neat or on the rocks with a small piece of orange zest. The gin gets its base character from distillation with 8 organic botanicals - juniper berries, coriander seeds, angelica root, heather, elderflower, lemon peel, orange peel and long pepper. They then store the gin in bourbon barrels for 54 days to further smoothen the gin and give it a subtle oak character that marries well with the orange and classic juniper tones. Their Oak Gin also makes a fantastic Negroni! Nose: The subtle maturation aromas from the wood complement this elegant and very balanced gin. A lovely savoury nose. Palate: A lovely savoury palate with a touch of sweetness towards the long bold finish.